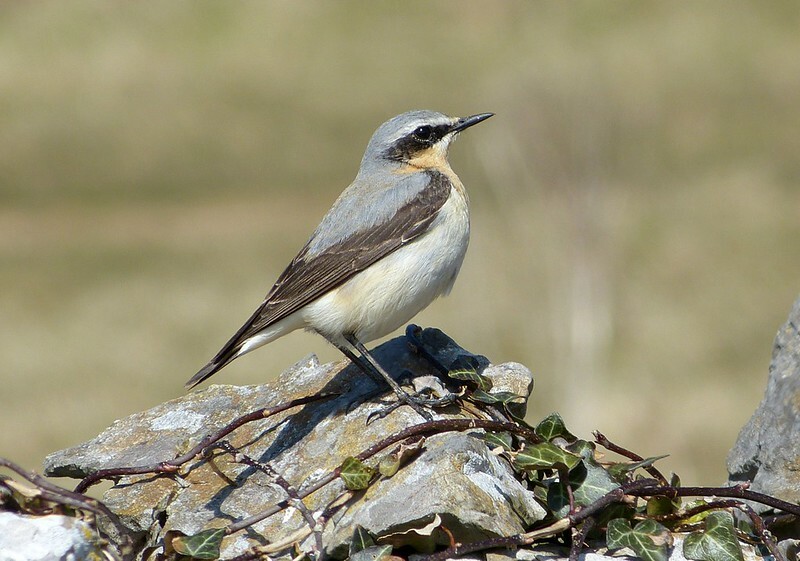 If our walk from Ogmore a week ago had signalled the first real signs of spring migration around these parts, then last Saturday was definitely the main event. In just a few hours at Kenfig pool we were treated to an array of recent arrivals, my personal highlight of which has to be the ten or so Swifts that dropped in late morning. In just a few moments the clear sky above the dunes was transformed from a blank canvas to a hive of activity. Similar scenes were unfolding over the water where hundreds of Swallows, House Martins and a couple of Sand Martins were busy feeding up after their long journeys. Thinking about it I can't remember the last time that I saw all four species together! 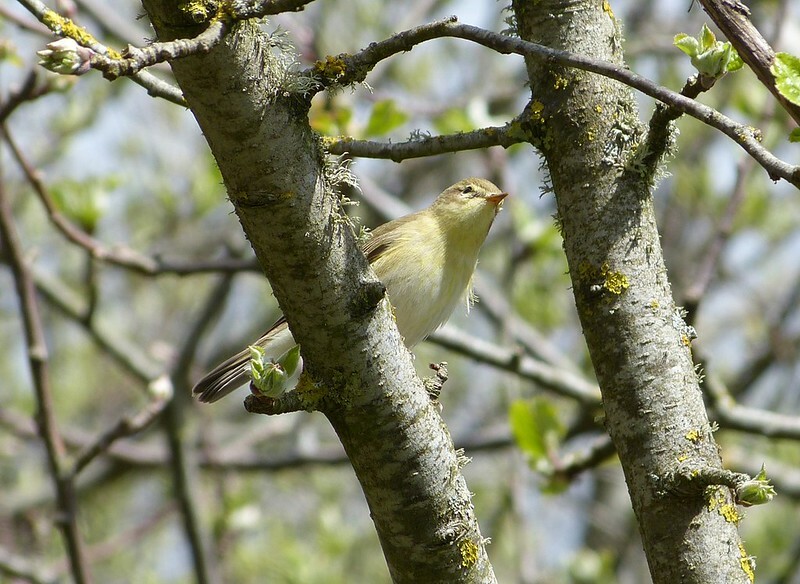 The surrounding vegetation was just as frantic with Willow Warblers and Chiffchaffs popping up everywhere. I had a great encounter with one of the former which posed for a photograph before being tackled to the ground by a rival. 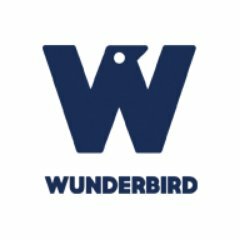 Let it not be said that these little birds can't put up one a hell of a fight. Whitethroats were slightly less numerous but certainly more vocal, including one whose song stood out from the crowd. We initially watched it being chased into Brambles from where we subsequently got some great views and could confirm that it was indeed a Lesser Whitethroat. I think I've definitely got my eyes (and ears) tuned in to this species now after the pair we found last autumn on Gower. Sadly I didn't get a clear photo though as it never stopped moving. 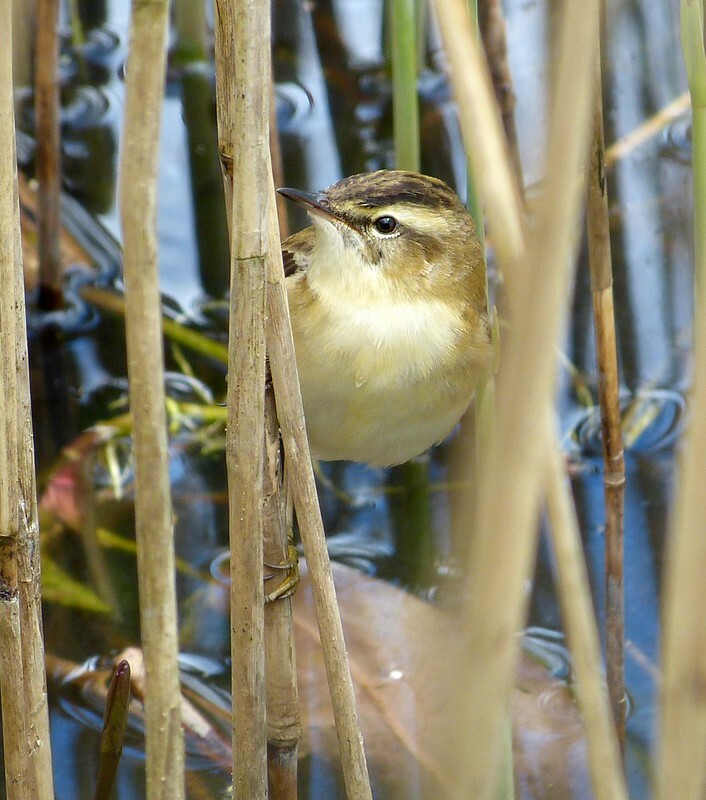 A similar problem was looking likely at the north end of the pool where the reed beds were alive with the sound of calling Sedge Warblers. I can't begin to guess at how many were present but it sounded like the whole counties population was hiding within. Thankfully some patience in what's left of the hide did eventually produce a few 'keepers'. The neighbouring fields also proved to be fruitful hunting grounds with a pair of Yellow Wagtails easily my star find for the day. They were roughly associating with a couple of Linnets which were very flighty and took the Wagtails with them at my approach. Fortunately they only went a short distance and I was able to take this somewhat distance photo. Normally I'd have binned it but as it's the only time I've ever caught a Yellow Wagtail on camera, it can have a stay of execution. 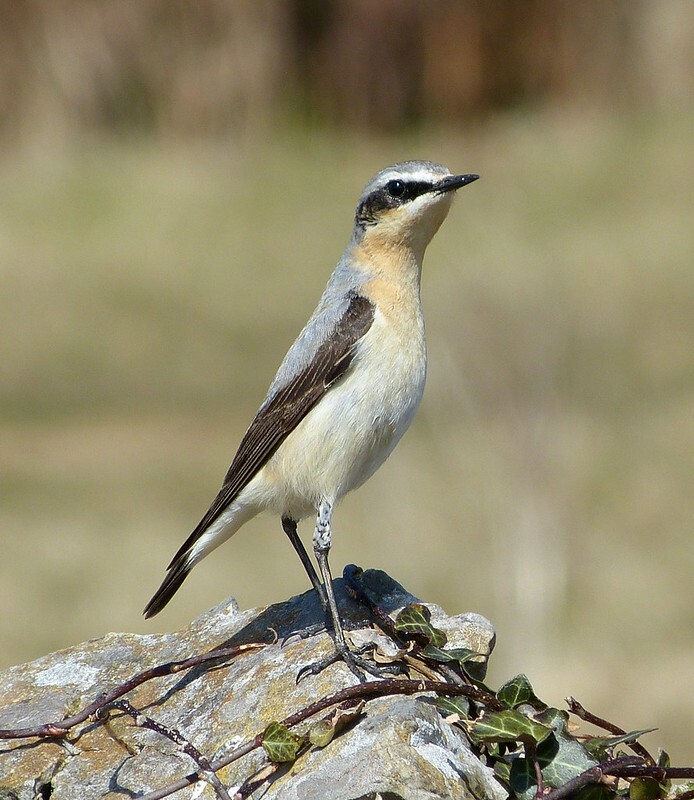 Surprisingly I didn't spot a single Wheatear but that does give me chance to include one from three weeks ago. We were walking the Gower coast path with my parents from Port Eynon to Oxwich and spotted this stunning male roughly half way along. It posed perfectly on an old stone wall for several minutes and seemed incredibly interested in our presence. After all that there's only one question on my mind; when am I going to hear my first Cuckoo? 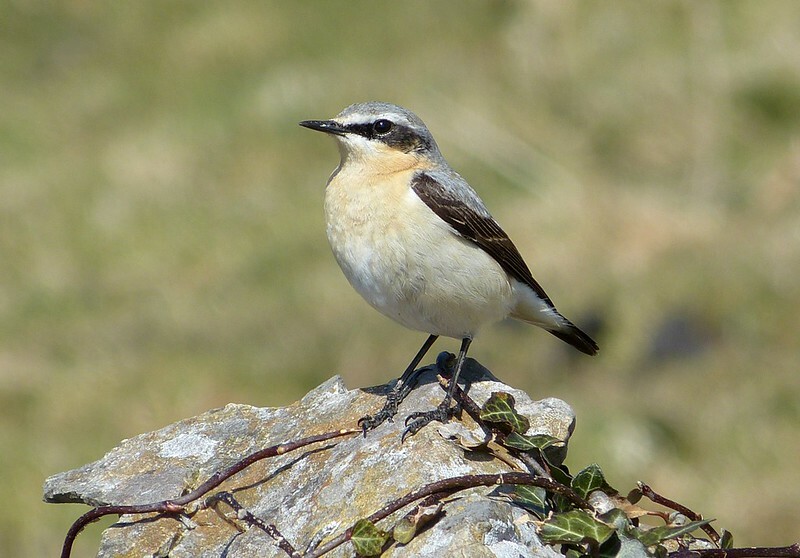 Best Wheatear shown that I should reckon. And Sedge Warbler is superb. Cracking set Adam, especially those Wheatear shots.